Hello, there! Here it is, four days late, but here! I've got a new banner and buttons (to replace the Mother's Day look). I opted for some retiring colors: Lovely Lilac, Barely Banana and Taken with Teal. Rose Red is also included in my buttons and banner, but it's sticking around as part of the Color Renovation. Speaking of Color Renovation, the card stocks in some of the retiring colors are disappearing off Stampin' Up! 's shelves faster than anticipated. We were told earlier this week that some orders of smooth card stock may need to be substituted with textured. For some, this is a great upgrade, but for some, this isn't what they wanted. Unfortunately, we won't know until the order arrives what orders were fulfilled with textured. I'm frustrated that the inventory isn't holding out until June 1 (as we were told initially). I'm not a fan of "Buy NOW before it's too late!" and I hate saying that to customers... Please contact me if you have any questions! I realize that I've been rather absent from the studio lately and that's true virtually as well as literally. It's a busy month with what feels like tee ball or softball every evening and end-of-school stuff culminating. A lot of great and fun things, but they've pulled me away from the studio. Bear with me; May 21st is my big deadline. I finish teaching preschool that day and my Girl Scouts' first overnight is that night. Once that's over, I'll be breathing easy and freer to spend time in the studio creating and posting. I'm also grossly overdue to post a video, so that'll be in the near future, too. Hi Sara........I love your new blog banner. Very nice. Look forward to seeing you more once school in over with. I know this has to be a very busy time for you. Just a few more days and school's out! 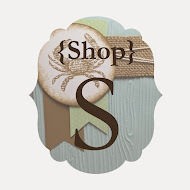 I love your blog and I'm excited to be checking in on a regular basis, I joined your group at Stamps R Us! Love the way your blogs looks! I need to learn how to change mine up a bit. May has also been a really busy month for me, I can't wait until it's over!